A thrill-packed trip to Panem: just like being inside the film. Explore the world that Katniss sees. If watching the films and reading the books just aren’t enough – get this. Your chance to walk in Katniss’s footsteps and see her world for real. Visit the thirteen districts of Panem, brought to dramatic life in full-colour pictures and realistic details. 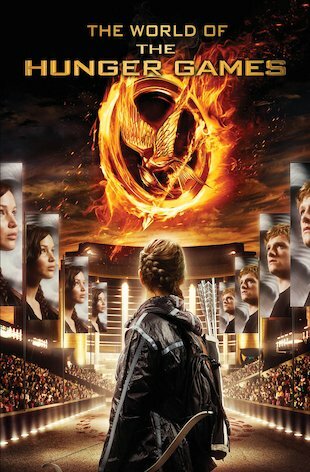 Stroll through the streets, explore Katniss’s childhood home in District 12 and meet the other Hunger Games contestants. The whole background story of the districts, their people and the Games themselves: a feast of facts for any fan. Read an interview with Suzanne Collins, author of The Hunger Games.